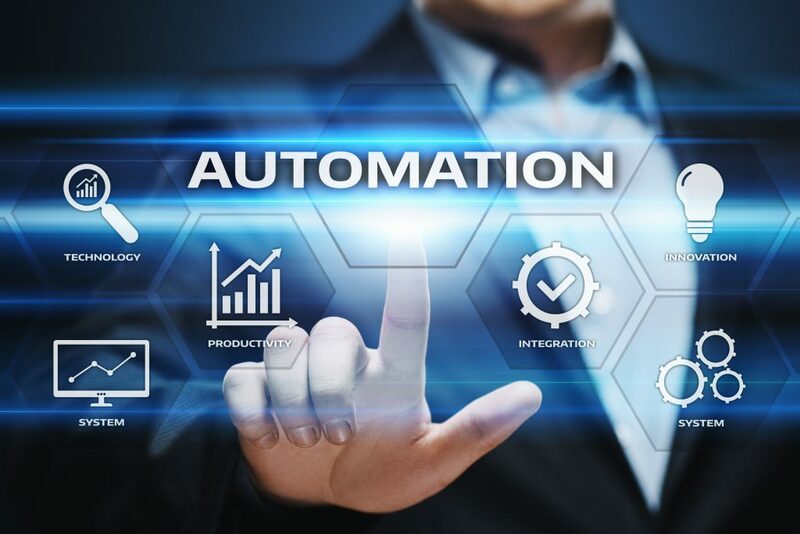 While automation can yield major benefits, finding the right tool to automate a complex business process can be daunting. 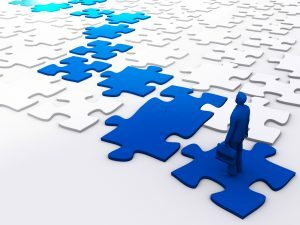 This is particularly true in the case of subscription and recurring revenue management, where you’ll find a dizzying number of solutions claiming to ease the management of subscription businesses. Many customers discover too late that the system they chose fails to provide features and functions that are critical to their businesses. Even in subscription management systems that are rated highly by analysts, you will find case after case of customers describing weak and missing features in their reviews of the systems. All the problems cited below could have been avoided by deploying MaxQ’s Advanced Revenue Management (ARM) solution. You also should expect your subscription management system to provide comprehensive and flexible contract management. Yet you will find customers complaining that their systems have serious deficiencies in handling contracts. A subscription management system should be flexible enough to handle a wide range of subscription terms and conditions, such as one-month and annual terms, as well as one-time purchases. Subscriptions with mixed terms should also be supported, such as a mix of monthly, quarterly, and yearly terms. However, many customers find out the hard way that their subscription management system cannot handle the variable pricing, bundling, billing, and payment processes that today’s subscription businesses require. Offering discounts and promotions is a basic business practice for many companies. Yet many customers describe the inability of their subscription management solutions to support discounts and promotions. 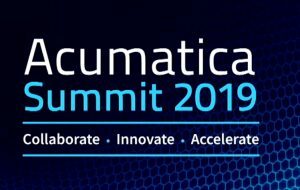 Analysts use words like multitier, multi-attribute, and hierarchical to describe the broad range of subscription, contract, billing, and payment operations a robust subscription management system should be able to perform. However, customers describe having to perform custom coding and workarounds for billing, payment, revenue recognition, currency conversion, and other operations because their system lacks these capabilities or can handle only a limited range of operations. Having to perform custom coding for these types of features and capabilities can add considerable risk, as well as complexity and cost. Customers also describe problems associated with integrating their subscription management system with external repositories like data warehouses, CRM systems, and payment gateways like ACH (automated clearing house). Mobile access is another key requirement in today’s market, yet a customer reports that his subscription management system provides no mobile access. All these problems could have been avoided had the customers deployed a solution like MaxQ ARM, which provides all the features they require as core components out of the box. MaxQ ARM provides a host of advanced automation features that are either missing or require custom coding in other systems—such as automated proration, contract management, payment processing, and variable billing. 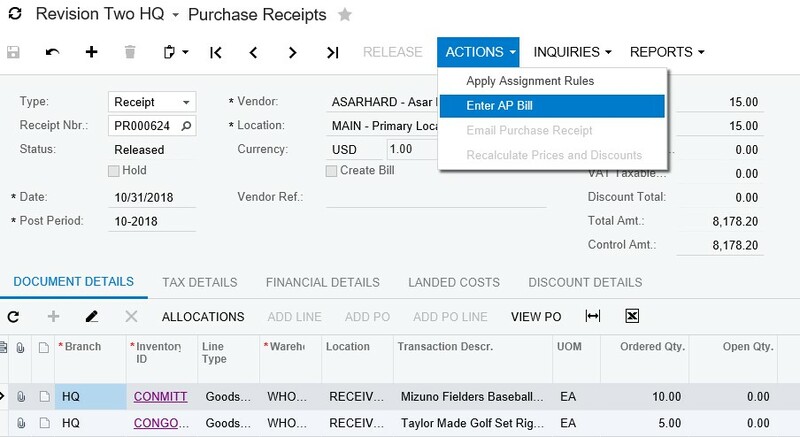 Unlike less sophisticated recurring billing systems that handle relatively simple sets of contracts, MaxQ ARM is especially suited to handling the complex billing and revenue management processes of software, SaaS, manufacturing, services, and other B2B businesses. Built on the Acumatica platform, which analysts have recognized as the leading cloud-based ERP system today, MaxQ ARM extends Acumatica to provide a broad and rich subscription management solution. Customers who test drive MaxQ ARM and compare its capabilities with other recurring revenue management systems typically find MaxQ runs circles around them. New Cannabis Markets: Show Us the Money! A bevy of new territories began selling legal cannabis in 2018, including Canada, Massachusetts, Maryland, Ohio, and Oklahoma. How well these new markets are faring gives us a sense of the strength of the cannabis market and how closely actual results are meeting expectations. No official government tally is available for Canada’s first three months of legal cannabis sales, so it is not clear how well Canada has performed so far. Statistics Canada projected sales would hit $1 billion in the fourth quarter of 2018 for the entire country. However, the only results provided by Statistics Canada so far are for the sales in the first two weeks after legalization, which totaled $43 million. Vice, meanwhile, reported that Canadians spent $1.6 billion on legal cannabis in 2018, based on a report by Arcview Market Research and BDS Analytics. Going forward, Arcview projects that Canada’s legal cannabis market will hit $7.8 billion in 2022. Recreational cannabis is expected to make up the lion’s share, with medical cannabis generating $1.4 billion of the total. Deloitte projects that the total cannabis market in Canada, including medical and illegal as well as legal recreational products, will generate up to $7.17 billion in total sales in 2019. Legal sales are expected to contribute more than half of this total—up to $4.34 billion—in the first year. According to Statistics Canada, Canadians spent $5.7 billion on cannabis in 2017, the vast majority of which came from the black market. This shows a strong demand for cannabis that will translate into large figures as consumers transition to the legal market. Massachusetts generated $23.8 million in recreational cannabis sales since its first dispensaries opened in November 2018, according to state officials. The number of dispensaries has increased from two to eight since sales began. With only two dispensaries operating, the outlets totaled $9.3 million in recreational marijuana sales during the first four weeks of operation. 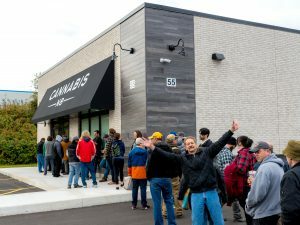 The two dispensaries took in more than $440,000 on the first day of sales, and the state averaged $2.3 million in sales per week. These are strong numbers compared with first month sales in other states that had many more dispensaries operating, such as Oregon ($14 million, 320 dispensaries), Colorado ($14.7 million, 59 dispensaries), and Nevada ($27.1 million, 53 dispensaries). In its first year of operation, Maryland’s medical marijuana sales mushroomed to $96.3 million, according to state officials. Medical cannabis sales in Maryland began in December 2017 with the opening of 10 dispensaries, and demand was so strong that supplies ran out within days. Since that time, the number of dispensaries has grown to 71. Maryland’s first-year medical cannabis sales topped those of Illinois, Massachusetts, and New York combined. With about 52,000 registered patients at year’s end, Maryland also outpaced Illinois and New York, which each had fewer than 13,000 patients after one year of sales. Oklahoma, which legalized medical cannabis in June 2018, began selling plants in October and dried flower in December. In the first full month of operation, Oklahoma’s four dispensaries sold nearly $1 million worth of medical cannabis. The Oklahoma market is projected to generate $400 million in annual sales over time, according to Marijuana Business Daily estimates. Legalization of recreational cannabis in Massachusetts seems to be spurring other New England states into action, including New York, New Jersey, and Connecticut. “Now that there’s cannabis stores in Massachusetts, we are really starting to see the dominoes fall,” said Matt Schweich, deputy director of the Marijuana Policy Project. As mjbizdaily notes, recreational marijuana seems poised to sweep across the Northeast, which could mean billions of dollars of new business opportunities in the densely populated region. As ICBC reports, there are “fresh signs that wide-spread cannabis reform is afoot across the European Union.” As the new year began, several European countries moved forward with their legal cannabis programs, including Poland, Portugal, and Luxembourg. In Poland, medical marijuana supplied by Canada’s Aurora Cannabis went on sale in Polish pharmacies on January 17. Luxembourg last year announced that it planned to legalize recreational cannabis, which would make it the first EU country to do so. Luxembourg currently is moving ahead with its medical cannabis program. In Portugal, two bills have been introduced in the Parliament to legalize recreational cannabis. As of January 15, the medical use law in Portugal, as well as the right to export the drug, was formalized by the Republic Journal, the official publication of the government documenting the passage of new laws. Another sign of the burgeoning cannabis market in new territories is the number of companies applying for cultivation licenses. In Germany, 79 bidders have applied for the 13 cultivation licenses that will be granted. Only medical cannabis is legal in Germany, and until the first internal harvest occurs, which is expected in the last quarter of 2020, all medical cannabis flower and oil sold in Germany will continue to be imported. Altacorp Capital predicts that cannabis cultivation companies will experience “margin compression” as the market matures. To combat this threat, cannabis producers must take measures to minimize their cost of operations. One of the best ways to control costs and maximize efficiency is through a highly integrated and automated cannabis management system. The cannabis market has reached a tipping point and is showing all the signs of an unstoppable juggernaut. Legalization is spreading at an accelerating pace. The number of dispensaries is increasing exponentially. Deals and investments are multiplying. Big Alcohol, Big Tobacco, Big Finance, and Big Pharma have entered the market. Big brand names like Coca Cola, Heineken, and Coors are entering the fray. A vast new legal hemp market has sprung open. A new generation of cannabis consumers is emerging. As mjbizdaily reports, based on the number and size of the deals that were done, the year 2018 will go down as “a massive milestone for cannabis companies.” According to Viridian Capital Advisors, 557 deals raised over $13.5 billion in 2018, compared with 378 deals that raised $2.7 billion in 2017. Constellation Brands made waves with its $4 billion investment in Canopy Growth Corp. But Altria topped that deal with a $13 billion investment in vape company Juul, a deal that followed two weeks after Atria’s $1.8 billion investment in Cronos Group. A key trend in the U.S. is the rapid expansion of large publicly traded cannabis companies through the establishment of multistate operations. This is the modus operandi of Acreage Holdings, Curaleaf, Green Thumb Industries, MedMen, and Trulieve—which are the five largest multistate cannabis operators with the greatest market capitalization. The big news in 2018 was the legalization of cannabis in Canada. In the U.S., Maine, Michigan, and Vermont legalized recreational cannabis. Medical cannabis is now legal in 33 states and Washington D.C., and recreational cannabis is legal in 10 states and Washington D.C.
As increasing numbers of territories legalize cannabis, resistance to legalizing cannabis is crumbling. At least seven U.S. states are leaning towards joining the recreational ranks as government leaders in New York, New Jersey, Connecticut, Pennsylvania, Ohio, Virginia, and New Hampshire push for legalization. Around the world, bans are being lifted to legalize cannabis and allow trade. 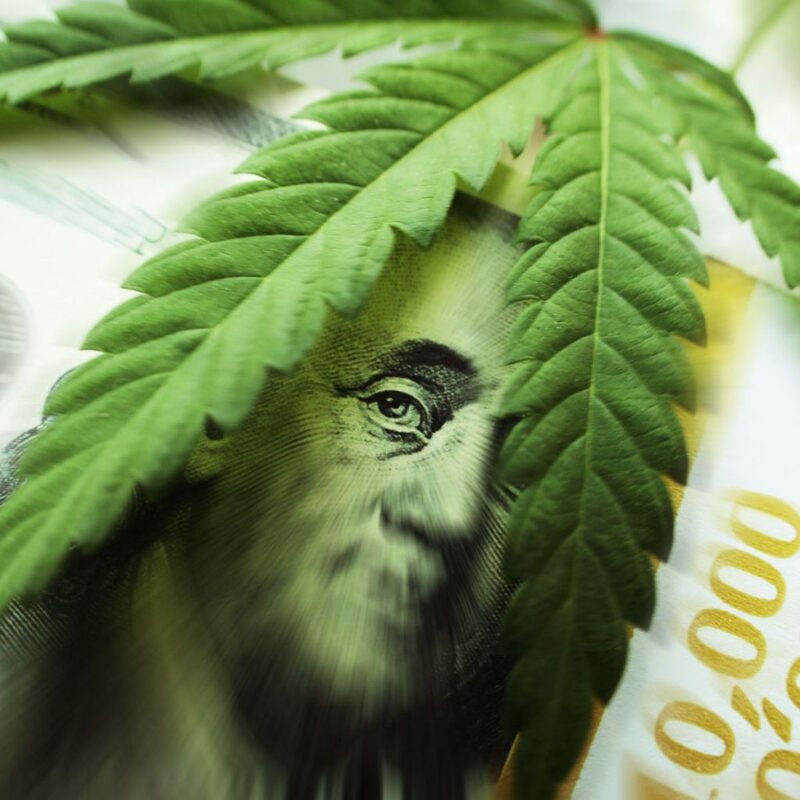 Most recently, Bermuda announced that was lifting a regulatory ban on marijuana investment funds, while Israel’s parliament approved a law to permit exports of medical marijuana. At year’s end, Thailand’s National Legislative Assembly voted to legalize medical marijuana and allow cannabis research. This follows on the heels of South Korea, Argentina, and Australia legalizing medical cannabis. As Forbes notes, U.S. drug policies influence those of foreign nations, and the legalization of cannabis in the U.S. is having a contagious effect worldwide. The rapid expansion of the cannabis market is reflected in the exponentially multiplying number of dispensaries. Connecticut officials approved nine new medical cannabis dispensaries, which doubles the state’s existing number. New Jersey also doubled its number of medical cannabis dispensaries from 6 to 12. Pennsylvania issued 23 new medical cannabis dispensary licenses, raising the state’s total to 79. Nevada issued 61 new recreational marijuana retail licenses, which nearly doubles that state’s number. Missouri plans to have 192 medical cannabis dispensaries open by 2020. Michigan, which legalized recreational cannabis in 2018, approved 91 new medical cannabis licenses, including 45 dispensaries. Massachusetts opened its first recreational cannabis dispensaries, while the first medical cannabis dispensaries were licensed to open in Arkansas, Ohio, and Virginia. After an 81-year ban, the legalization of hemp in the U.S. became official when President Trump signed the 2018 Farm Bill on December 20. The ability to grow, process, and sell hemp products will unlock a wealth of new opportunities. As Vox reported, not only will farmers coast to coast benefit from a new cash crop, but the CBD industry, which sold about $350 million worth of products last year, is projected to hit $1 billion in sales by 2020. Cannabis research is flourishing as biotech companies discover new medical uses and legal cannabis-based drugs are made available to patients. A historic landmark was reached in 2018 when Epidiolex was approved by the FDA, a move that caused cannabis to be reclassified by the DEA. After five decades of barren neglect, the U.S. Congress is moving to fund and facilitate medical cannabis research. Besides a new Medical Cannabis Research Act bill, the U.S. federal government plans to award $1.5 million in grants during the 2019 fiscal year to researchers who study how components of marijuana other than THC affect pain. As the surging sales and supply shortages in the U.S. and Canada show, the demand for legal cannabis is strong. Consumers are taking advantage of the diverse medical and recreational cannabis products coming to market, including smokables, edibles, beverages, ointments, lotions, and suppositories. Not only are veteran cannabis users taking advantage of legalized cannabis products, but a new generation of “canna-curious” people are becoming cannabis consumers. As headynj.com notes, as legalization takes hold, “the doors have opened up to a whole new tribe of people” who are experimenting with cannabis and making informed decisions. This includes senior citizens, a group that tended to be anti-cannabis in the past, but who are now embracing cannabis chiefly for medical reasons. An example is Rossmoor’s Medical Marijuana Education and Support Club in California, where scores of seniors are experiencing the benefits of medical cannabis. These seniors are not only becoming consumers, but pro-cannabis activists as well. Mainstream commercialization is causing the cannabis market to become more sophisticated, refined, and upscale. As Leafly notes, legalization has brought maturity, innovation, professionalism, and credibility to cannabis. For cannabis producers, the expanding market represents an immense opportunity, and competitive advantages can be gained by deploying the right cannabis management and analytics solutions. In the highly competitive world of cannabis manufacturing, Curio Wellness has gained advantages by deploying a MaxQ Cannabis management solution that includes Power BI analytics. Brad Friedlander, CIO of Curio Wellness, described how his company is deriving a wealth of benefits from Power BI. 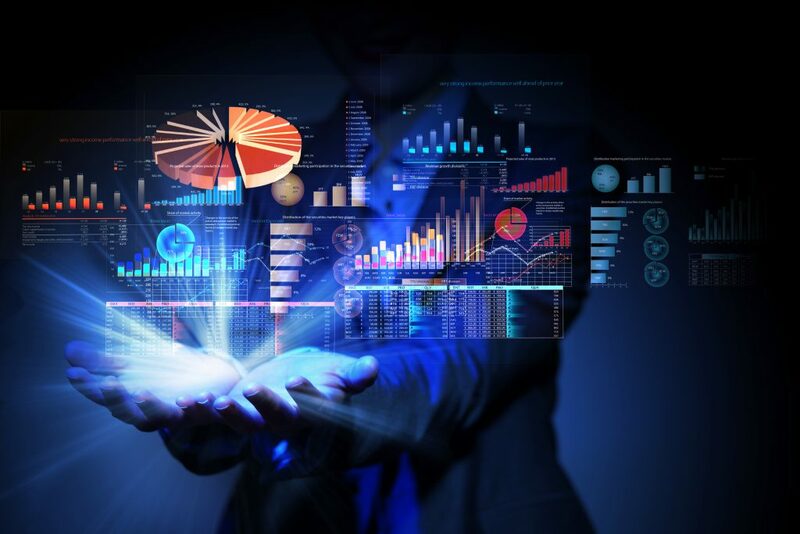 Power BI is used to monitor and manage the entire business, including operations, sales, and marketing, said Friedlander, adding that this has resulted in better planning, decision making, and performance. Curio Wellness obtained Power BI as a standard component of the MaxQ Cannabis solution that is used to manage the company’s seed-to-sale cannabis operations. However, as users worked with Power BI and discovered its potential, they desired to expand the range of analyses they were able to perform. MaxQ provided additional consulting and customization to enable Power BI to meet the users’ expanding needs. Friedlander said he is continuously adding pages to Power BI to add functionality that enables the management team to view data in new ways. Daily monitoring and analyzing of key metrics have enabled the operations and sales teams to make better decisions and change business outcomes, Friedlander said. “It’s allowed us to quickly see problem areas and address them immediately rather than at month’s end,” he explained. Power BI helps the operations side keep in step with sales and marketing. “We can see the best-selling products in any given week, and modify our trimming and production schedules to meet the current demand,” Friedlander explained. Power BI data also enables the sales and marketing teams to take steps to boost the sales of underperforming products. “We can see what’s selling and what isn’t, and we can put something on special or do special promotions for weaker selling products,” Friedlander added. On the operations side, Power BI enables the operations team to monitor production and gauge its efficiency. “We can see what yields are out of the garden and the gross weights and class of product that results from a crop,” Friedlander explained. Power BI also enables the operations team to see how the crops that are harvested measure up to the planned production. “We can set the results we aim to hit for a crop, and we can see how well we have performed to hit that metric—for example, the percentage of flower that falls into upper tier, middle tier, and lower tier,” Friedlander explained. The company currently is in the process of automating its Flash report, he said, which aggregates key metrics of entire business. “This will let users access data from a single source rather than dragging in data from multiple data sources, and the Flash report will be formatted for the purpose of visualizing the metrics,” he explained. Going forward, Friedlander said the company plans to expand the use of Power BI in a number of ways, including creating customized dashboards for each team—executive, operations, sales, and marketing. “We also want to add the ability to analyze cost of sales, particularly on the cultivation side,” he said. Power BI has made life easier and benefited the business in numerous ways, said Friedlander, including better performance and decision making. “It also has given us a huge competitive advantage,” he added. MaxQ Technologies provides state-of-the-art Power BI solutions and incorporates Power BI within advanced business solution suites. Contact us to learn more about Power BI and how your business could benefit from a Power BI solution. In the complex world of cannabis manufacturing, the ability to manage operations efficiently and minimize costs can mean the difference between success and failure. Brad Friedlander, Curio Wellness CIO, described how his company has gained a major competitive advantage by employing MaxQ Cannabis to manage its cannabis operations. Growing high-grade cannabis and producing premium products requires careful management in all stages of the operation—including planning, cultivating, harvesting, testing, curing, extraction, manufacturing, packaging, distribution, inventory management, and sales. The MaxQ Cannabis management system has yielded benefits across all these areas by enabling Curio to operate with greater efficiency while minimizing costs, Friedlander said. Automated Product Data Management Automated product data management has yielded significant time and cost savings, said Friedlander. “We’ve created some standardization that enables us to create new parts and strains with ease from other data we have in the system,” he explained. When a new strain is entered into the system, all the associated parts are created automatically, including SKUs (stock keeping units), bills of materials, kits, and bundles for each of the products. Automated product data management creates all product data in a consistent, standard, and correct manner, greatly reducing errors caused by manual entry. “Just click a button and it creates the inventory items, kits, BOMs, and bundles automatically,” Friedlander explained. “The setup that would take hours manually, we do in 30 seconds.” Integrated Accounting Most competitors are running their business on QuickBooks and jumping between different accounting systems, said Friedlander. His observation agrees with that of cannabis accounting expert Andrew Hunzicker, who relates that many cannabis companies operating in this manner find themselves plagued with financial struggles stemming from the complexity of cannabis accounting, including cost controls within the growth, manufacturing, and retail phases, as well as compliance and tax issues. Best practices for controlling costs in the manufacturing and distribution of cannabis, Hunzicker explains, are stringent and integrated accounting, coupled with the use of advanced analytics to track costs, perform forecasts, and maximize efficiency. The integrated accounting of MaxQ Cannabis, coupled with Power BI analytics, provides all these advantages, including easy data entry and data handling, with changes that ripple through the system automatically, said Friedlander. This saves time and labor and eliminates error, he explained. “The integrated accounting, data handling, cost tracking, and auditing are huge advantages,” Friedlander said. Cost Tracking The ability to produce cannabis products at the lowest possible cost is critical. Automated cost tracking within MaxQ Cannabis enables Curio Wellness to track its costs across all phases of its operation. “The ability to track costs is a huge one,” said Friedlander. The system enables the company to track the cost of inventory by automating the process of accumulating cost into inventory, he explained. “We can see historical data that we can’t see in the regular tracking system,” said Friedlander. “It helps us to understand costs and control them.” Product Traceability Automated product tracking is another key feature that helps Curio Wellness increase efficiency while reducing costs. The MaxQ Cannabis management system enables Curio Wellness to trace any product back to its origin with ease, said Friedlander. “It gives us full traceability,” he explained. “If there is an issue with a product, we can trace it back to the batch in which it was created and who we sold it to with ease.” Comprehensive product tracking and traceability enable Curio Wellness to stay fully compliant and auditable for any government agency that requires compliance information, Friedlander said. Quality Control The MaxQ Cannabis system automation also streamlines the lab testing process, including automated uploading of lab results and printing of labels for each of Curio Wellness’s products. The system will store the Certificate of Analysis (COA) and automatically generate labels from lab results. When products are shipped to customers, the lab results certificate will be mailed automatically with the invoice. “The system automates the processing of the lab reports for each product for each customer for every order,” said Friedlander. “The handling of lab results and label printing is completely automated, a process that was very time consuming in the past.” Analytics Advance Business Curio Wellness acquired Power BI analytics as a standard component of the MaxQ Cannabis system. Friedlander said Power BI is used to monitor and manage the entire business, including operations, sales, and marketing. “Our whole executive team uses it for sales and key metrics, sales by customer, what products are trending, how things are selling within categories, in both quantity and dollars,” he explained. “We can view data in real time, daily, weekly, monthly, and quarterly.” Using Power BI in conjunction with MaxQ Cannabis has resulted in better planning, decision making, performance, and customer satisfaction, he said. The executive team uses Power BI to monitor key metrics, including sales by customer, which products are trending, how things are selling within categories, in both quantity and dollars, Friedlander explained. The ability to monitor and analyze key metrics in real time have enabled the operations and sales teams to make better decisions and change business outcomes, Friedlander said. “It’s allowed us to quickly see problem areas and address them immediately rather than at month’s end,” he explained. “Most of our competitors are on QuickBooks,” Friedlander explained, “so they don’t have the ability to do what we do with Power BI. It’s a big competitive advantage.” Ongoing Improvement Curio Wellness works with MaxQ to extend the system’s capabilities and refine processes in ways that will yield even greater efficiency, Friedlander said. Plans include automating the harvesting of crops with integrated RFID readers, as well as adding a host of new Power BI features. Has MaxQ Cannabis delivered the efficiency and cost control benefits he had hoped it would? “Absolutely,” said Friedlander. “The system not only enables us to operate more efficiently, it gives us a huge advantage over our competitors.” As the maker of the most modern, integrated, and scalable cannabis manufacturing solution, MaxQ has deep cannabis industry expertise. Contact us to learn more about the latest trends and management solutions in the cannabis manufacturing industry. That was the case until MaxQ Cannabis entered the picture, providing an all-in-one ERP cannabis management solution with all the functionality Hunzicker hoped would someday become available. Although too new to be included in Hunzicker’s report, MaxQ Cannabis is now available to provide streamlined management to cannabis companies of all sizes. Built on the Acumatica ERP platform, MaxQ Cannabis is a tightly integrated and highly automated cannabis management suite tailored to the needs of cannabis cultivation and manufacturing companies. With MaxQ Cannabis, all the problems with accounting, compliance, tracking, and reliability cited in the report are eliminated. As Hunzicker notes, with no integrated accounting and tracking solution available, cannabis companies have had to rely on a patchwork of QuickBooks, Xero, Excel, and other apps to manage their operations. MaxQ Cannabis solves this problem by providing integrated accounting functionality that encompasses the entire management suite, eliminating the need to employ two or more systems. Rather than separate accounting, CRM, ERP, inventory, and e-commerce systems, MaxQ Cannabis provides an integrated suite of ERP, CRM, supply chain, and e-commerce functions. All functionality—including accounting, cost tracking, product tracking, compliance, quality control, and business intelligence—are fully integrated across all phases of cultivation, manufacturing, distribution, and sales. MaxQ Cannabis enables cannabis businesses to be more efficient through automation that saves time and labor, streamlines operations, and minimizes costs. For example, the process of entering a new cannabis strain into the system automatically creates all the associated parts—inventory IDs, bills of materials, kits, and bundles—at the press of a button. The automated process takes less than a minute, whereas it would take hours to input the data manually. The same type of time and labor savings are gained through the automation of the lab testing process. MaxQ Cannabis automates the lab testing process by uploading the lab results and printing the labels for each cannabis product, a process that is time consuming when performed manually. The system will store the Certificate of Acceptance (COA) and automatically generate labels from lab results. When products are shipped to customers, the lab results certificate will be mailed automatically with the invoice. Compliance is ensured by automatically creating and transmitting regulatory reports to the appropriate government authorities, such as the Metrc reporting system. As Hunzicker points out, cannabis is a complex world involving several sub-industries (farming, chemical manufacturing, food production, and retail), and mistakes can be costly. Cannabis companies, he notes, are faced with a plethora issues such as multi-entity structures, consolidated accounting, cannabis and non-cannabis divisions, and complex customer resource management. Providing a full spectrum of accounting and management capabilities—including multi-currency and multi-company—is how MaxQ Cannabis stands out from the pack. No longer do cannabis companies have to settle for less-than-optimal management solutions. Now they can turn to MaxQ Cannabis, a next-generation cannabis management system with the unity of accounting, product tracking, cost tracking, compliance, quality control, and business intelligence that was missing in first-generation systems. A good example of how to resolve this issue is the way the MaxQ Cannabis solution reconciles lab testing records. 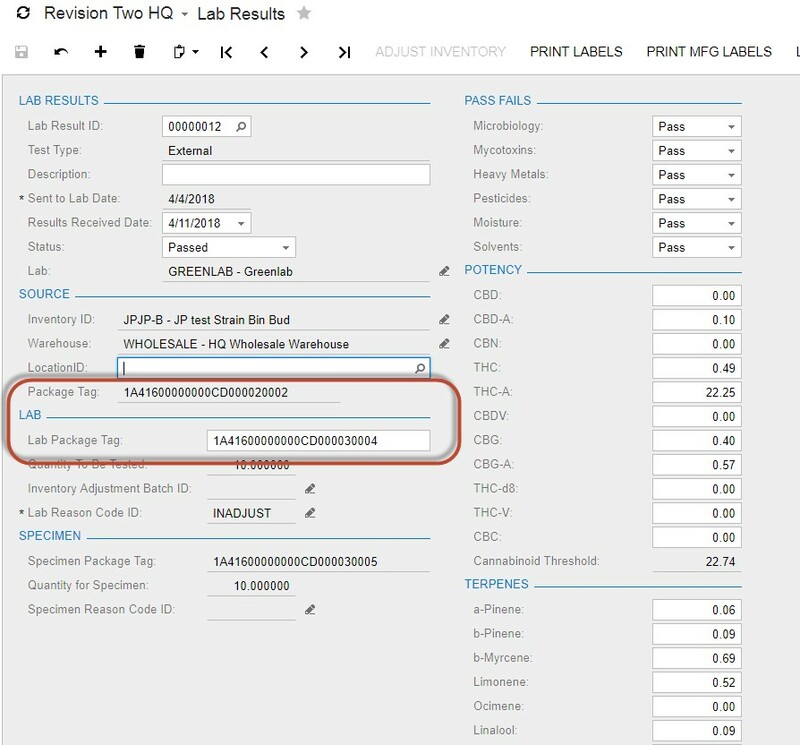 In MaxQ Cannabis, there is a form that allows a user to track the testing of different products by their lot number. As required by law, these lots need to be tested by a certified independent lab. The lab technician will go onsite and take a small sample of the lot to be tested, and in doing so creates a new lot number for the sample. The lab will test the sample and report the results by using its lot number, hence the issue. We need to use the lab’s lot number to find the correct lab results record to update the test results (see image below). As you can see, we have the Lab Package Tag (Acumatica Lot Number) as a field on the lab report and need to update the Lab Result ID for record id 00000012. The Lab Package Tag is part of the Lab Results Selector. 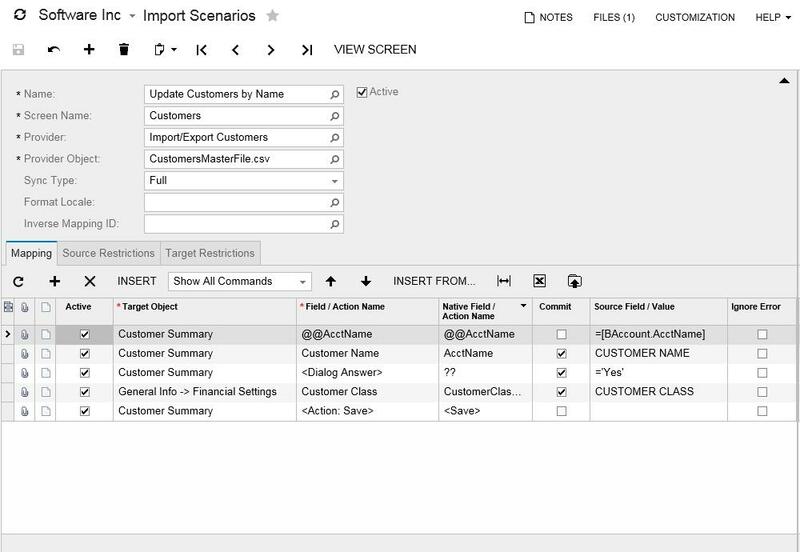 We need to add some special lines to the import scenario to accomplish this. Notice the first three lines of the image below. 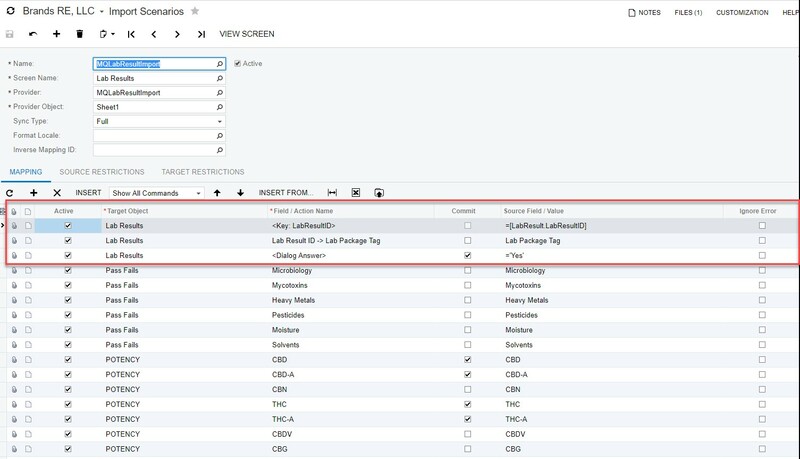 We are telling the import scenario to use the Lab Package Tag to look up the Lab Results ID and update the data. After a big media buildup and much anticipation, recreational cannabis finally became legal in Canada. 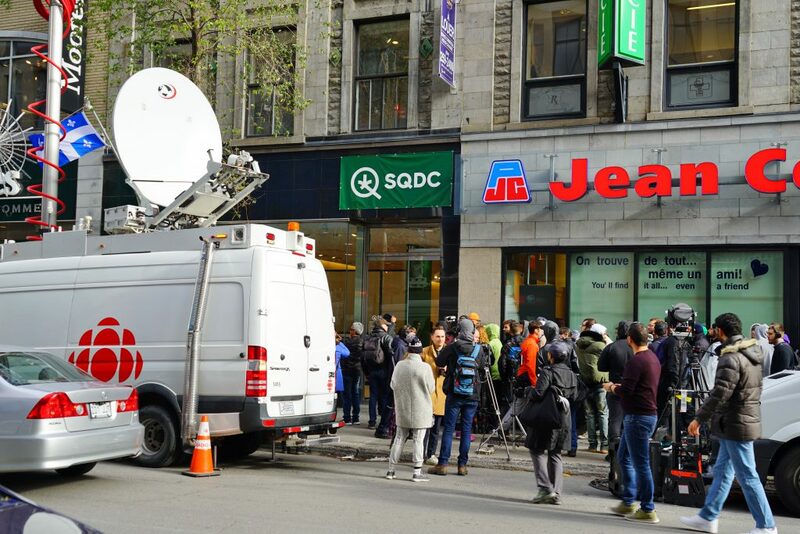 The results out of the gate were mixed, with sales surging in some places, lagging in others, and supply shortages making it difficult for many Canadians to purchase legal cannabis. One thing became clear: Canadians love cannabis. The Ontario Cannabis Store (OCS), which sells online, reported making 100,000 sales within the first 24 hours, with sales rising to 150,000 orders within the first week. Shopify, whose e-commerce software powers a number of Canadian government cannabis retail sites, said the sites collectively were receiving more than 100 orders per minute. With so many of the major cannabis growers being Canadian companies, people are finding it difficult to understand why there are shortages, and fingers are pointing in many directions to assign blame. Provinces are the sole wholesalers of cannabis and cannabis products in Canada. According to reports, provinces say they cannot supply retailers because they are not receiving the supply they were promised from the licensed growers. While some observers believe the cannabis growers are to blame for not producing enough cannabis, others believe it is the slow pace of Canadian government agencies to grant the licenses that permit growers to sell cannabis. The government-run Ontario Cannabis Store (OCS) is the largest retailer in Canada and the only sales channel for legal marijuana sales in Ontario. The OCS initially blamed the delays in fulfilling orders on demand “beyond what we anticipated” and a postal labor dispute that disrupted its exclusive shipper, Canada Post. In a report on Vice.com, Dan Sutton, founder of Tantalus Labs, said the production capability of many Canadian cannabis companies was overblown because the managers were business people who lacked the agricultural experience needed to grow cannabis on a large scale. The institutional knowledge needed to reliably grow massive amounts of cannabis simply doesn’t exist, he said, and the industry won’t figure it out for a while. Jordan Sinclair, vice-president of communications for Canopy Growth Corp., disagreed with Sutton’s assessment. Sinclair said the shortages were the result of larger than anticipated demand, logistical issues in getting product onto store shelves, and yields that are still a few months away from being harvested. Canopy has been expanding its production capability over the past year, but it will be a few more months before the facilities are in full production mode, he said. Rosalie Wyonch, an analyst with C.D. Howe Institute, said she believed there was plenty of blame to go around and that “no one is completely guilty, and no one is completely innocent.” Licensed producers failed to deliver enough cannabis, provinces failed to procure enough cannabis, and the Canadian government via Health Canada may not have approved enough LP licenses in time for legalization. Wyoch also said legal producers were short on medical cannabis because they were routing deliveries to meet their obligation for recreational cannabis. “The truth is, there’s a huge incentive for licensed providers to supply distributors before they supply medical patients, and as a result these medical patients are getting the short end of the stick,” she said. Taking a step back, we can see that even with the shortages, Canada is doing a lot better than other places in which recreational cannabis became legal. In California, for example, there was no cannabis available for an entire year after legalization became official, and cannabis dispensaries are still spotty throughout the state. In Massachusetts, recreational marijuana was legalized in November 2016, but sales are not expected to begin until this month, a full two years after legalization and four months after the July 1 target date this past summer. Despite the shortages, the strong demand for cannabis signals a bright future for the cannabis market in Canada. With so many major Canadian cannabis companies focused on producing large quantities of premium cannabis, consumers will be well served in the near future. Cam Battley, Chief Corporate Officer at Aurora Cannabis, is among the bullish believers, noting that even though some cannabis companies might have stumbled getting their products to the provinces, the fact that there was such high demand was a good thing. Customers will be pleased with the high-quality cannabis that will be available to them, he said. As we noted in a previous post, major Canadian cannabis companies like Aurora, Canopy Growth Corp., The Green Organic Dutchman, and Tilray are looking beyond Canada and making moves to become leading providers worldwide. 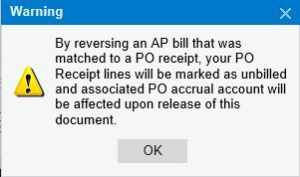 QUESTION: I have a variance in my PO accrual report. How do I correct it?